Abara LMS is an online learning management solution that helps SMBs and large enterprises manage organization-wide learning activities and train customers, employees, distributors, or partners. The solution is also used by training companies, eLearning providers, catalogue providers, and e-commerce companies to sell and distribute courses to corporate clients. Abara LMS’ device agnostic approach enables users to access the application on any mobile device and operating system. Abara LMS can be hosted on Amazon cloud and enables organizations to deliver classroom training across various locations. Users can add a classroom session to the interface and then track attendance; monitor employee participation; and assign instructors to handle the complete session. At the end of each session, users can set up assignments for employees comprising of multiple choice questions, short answer questions, match the following, or single answer questions. Abara LMS allows users to view or download reports that measure the entire group’s progress against a training plan. It also provides learning indicators such as certifications and competency reports. Abara LMS offers team management capabilities that allow managers to approve or reject a training plan requested by their team members. The solution also offers white labeling features that enable organizations to add their logo and choose a color scheme that matches their brand. Additonal features provided by Abara LMS include course creation workflows, learning assets repository, standard report formats, data slicing and dicing, and scheduled reports. Users can assign roles and permissions by creating admins, line managers, sub-admins, or learners. Abara LMS offers an API library that allows organizations to integrate the solution with other third party applications. • Abara LMS helps training companies sell courses online by providing an in-built shopping cart that can be linked to PayPal gateway to accept electronic payments. • The solution allows organization-wide executives and team managers to receive scheduled reports with graphs and charts on a yearly, monthly, weekly, or daily basis. • Abara LMS offers multiple filter sets for analyzing data, with users able to re-arrange it to view the most crucial things at the top. • The solution can be connected with Google analytics to retrieve insights on employee behavior and engage with them in a more thoughtful manner. • Abara LMS offers a built-in message centre that allows users to communicate with each other and create customized groups with learners from specific training courses or branches. Below are some frequently asked questions for Abara LMS. Q. What type of pricing plans does Abara LMS offer? Q. 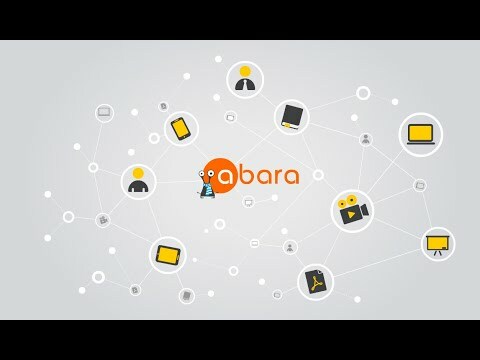 Who are the typical users of Abara LMS? Q. What languages does Abara LMS support? Q. Does Abara LMS support mobile devices? Q. Does Abara LMS offer an API? Yes, Abara LMS has an API available for use. Q. What other apps does Abara LMS integrate with? Q. What level of support does Abara LMS offer?